Grafimedia IT experts correctly evaluate customer needs. Our team can recommend a total solution that fits best the budget of the private practice, diagnostic center, clinic or hospital. Grafimedia team may recommend systems that have been developed in-house. Also may recommend top-quality products from well known third party manufacturers, from all over the world. Careful scrutiny of financial and technical data, coupled with comprehensive analysis of your needs, allows our IT experts to propose the solution with the most favorable cost to value ratio. Grafimedia develops, installs and supports digital medical information systems. Clinical information may be available as text, voice, image or video. 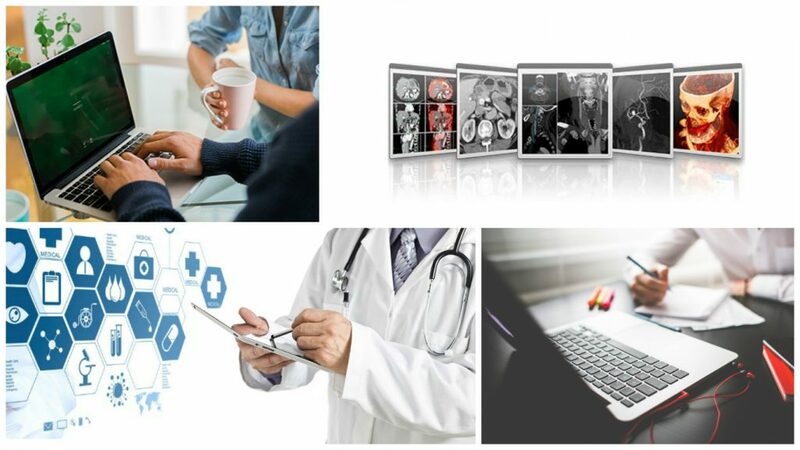 Clinical images that are generated by medical equipment, such as an ultrasound scanner, CT, MRI, colposcope, endoscope or microscope are transferred into a computer, where they are integrated with other relevant information into an electronic patient file. This multimedia file may then be made available, via a Local Area Network (LAN) or a Wide Area Network (WAN) to any point that is needed. When there is no capability of transferring digital information via network, it can be recorded onto a CD-ROM or DVD and then physically delivered to where it is needed. Although Grafimedia is focused on the digital clinical information should there be a need for a hard copy printout, perhaps for documentation purposes, we provide the solution for printing on plain A4 paper.